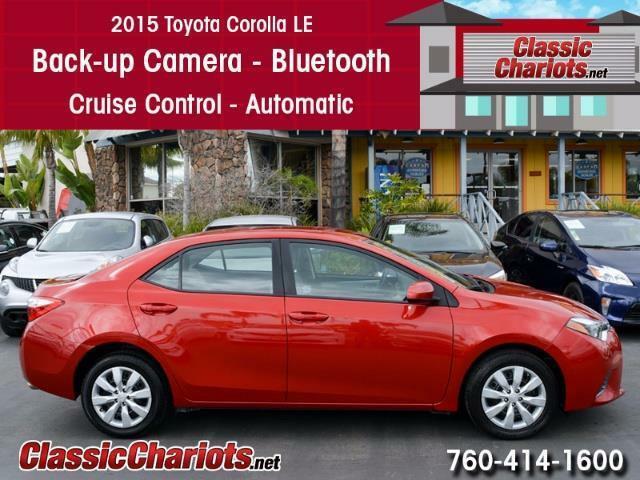 1 Owner Clean CarFax Report – DIESEL ENGINE – Remaining Factory Warranty – Bluetooth – Leather Upholstery – AM/FM Stereo – AUX & USB AUDIO INPUTS – SD Card Reader – HomeLink – Climate Control – Panoramic Moonroof – Digital Info Center – Dual Power and Heated Seats – Cruise Control. Serviced and ready to use and enjoy! .Clean CarFax Report – Front Wheel Drive – Automatic – Aux Audio Input – mp3 Compatible – Air Conditioning – Power Windows and Mirrors – Cruise Control – Alloy Wheels. Serviced and ready to use and enjoy! 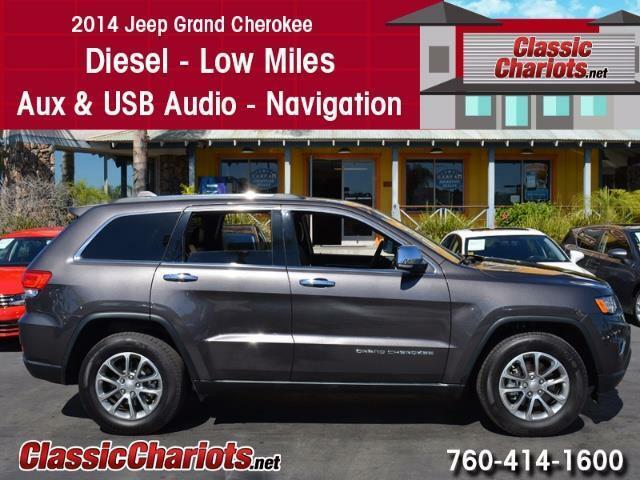 Call today and set up a test drive! We have been family owned and operated for over 20 years. We have affordable prices, low payments, with easy financing! This is where you can find high quality used cars, trucks, and SUVs in all of San Diego, Temecula, and Orange County. Our cars, trucks and SUVs go through a lengthy presale inspection process, to ensure that our customers are buying a vehicle they can rely on. Come and see for yourself why a huge percentage of our business is repeat or referral. Visit us on Facebook and see testimonials and our cars on YouTube. *Vehicles subject to prior sale. Prices subject to change. All offers expire at 11:59 pm Pacific Standard Time on the same day given in the ad. 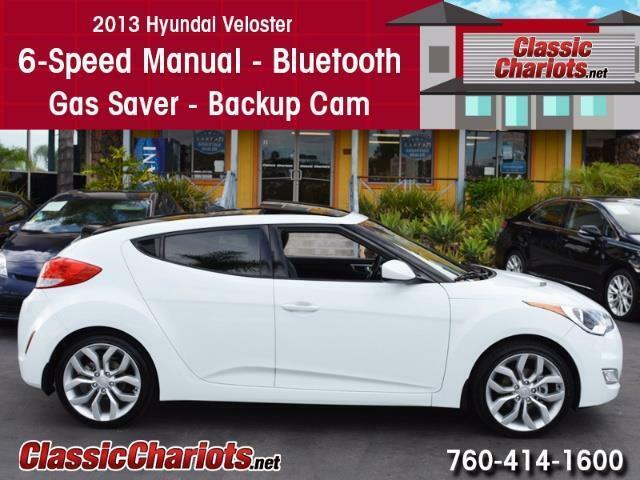 Advertised price does not include government fees and taxes, any finance charges, any dealer document preparation charge, and any emission testing charge. All third party sites that advertise our vehicles may not be displaying accurate information. Please contact us for more information. Thank you. Serviced and ready to use and enjoy! 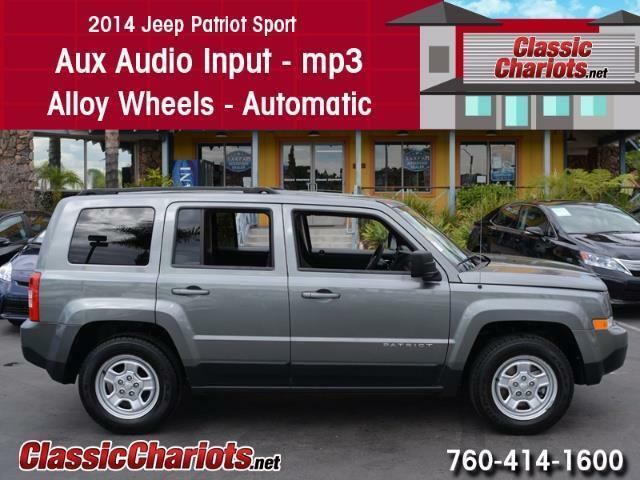 Clean CarFax Report – REMAINING FACTORY WARRANTY – Bluetooth – Alloy Wheels – AUX & USB Audio Inputs – Mp3 – Front Wheel Drive – Serviced and ready to use and enjoy! 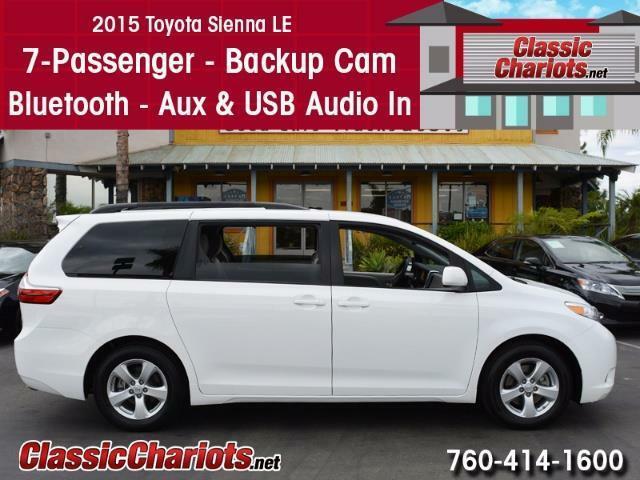 Clean CarFax Report – Remaining Factory Warranty – 7 Passenger – BLUETOOTH – 4 Captains Chairs – Aux & USB Audio Inputs – Power Drivers Seat – Homelink – Multi-zone Climate Control – Digital Info Center – Backup Camera – Cruise Control – Power Locks, Windows and Mirrors – Dual Power Sliding Doors. Serviced and ready to use and enjoy! 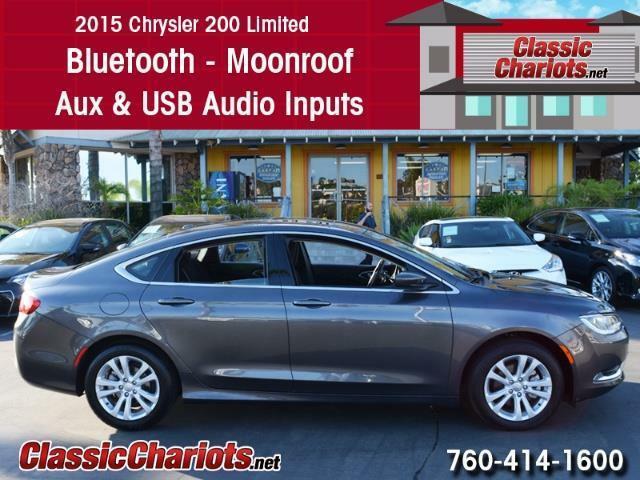 2 Owner Clean CarFax Report – 6-Speed Manual Transmission – BLUETOOTH – Aux & USB Audio Inputs with mp3 Compatible AM/FM/CD Stereo, Moonroof, Digital Info Center, Backup Camera, Air Conditioning – Power Locks, Windows and Mirrors – Cruise Control. Serviced and ready to use and enjoy! Want to Express Your “Green” Business ? This Van is Perfect for you ! 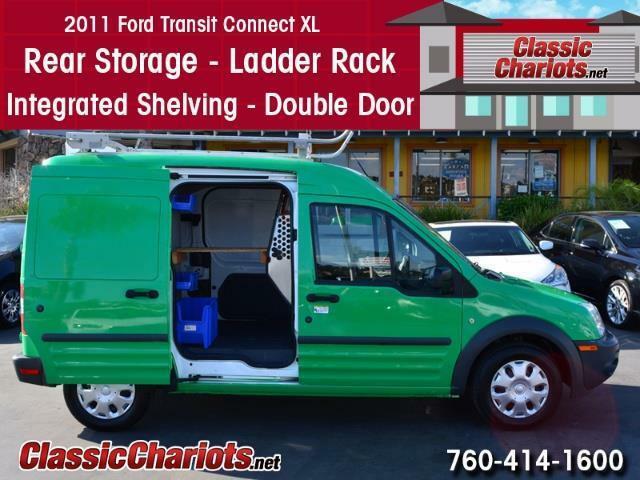 – 1 Owner – Rear Cargo Area – Luggage Rack – Double Side Doors – Integrated Shelving – Low Miles – Cargo Divider – Spotter Mirrors. Serviced and ready to use and enjoy! 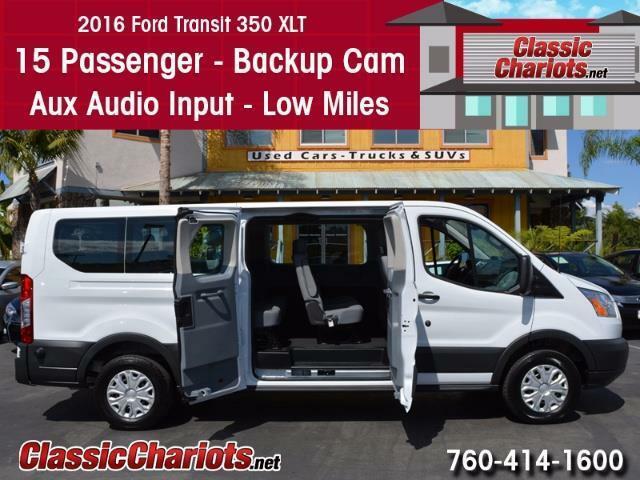 Clean Carfax Report – FULL REMAINING FACTORY WARRANTY – 15 Passenger – Backup Cam – Front and Rear Air Conditioning – Spotter Mirrors – Digital Info Center – Aux Audio Input – AM/FM/CD Stereo – Power Locks, Windows and Mirrors – Cruise Control. Serviced and ready to use and enjoy! 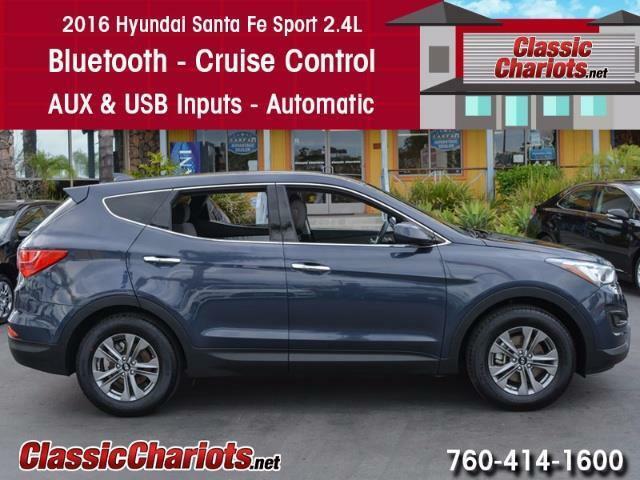 2 Owner Clean CarFax – BLUETOOTH – Moonroof – Aux & USB Audio Inputs – Climate Control – Digital info Center – Backup Camera – Power Drivers Seat – Power Locks, Windows and Mirrors – Cruise Control. Serviced and ready to use and enjoy! 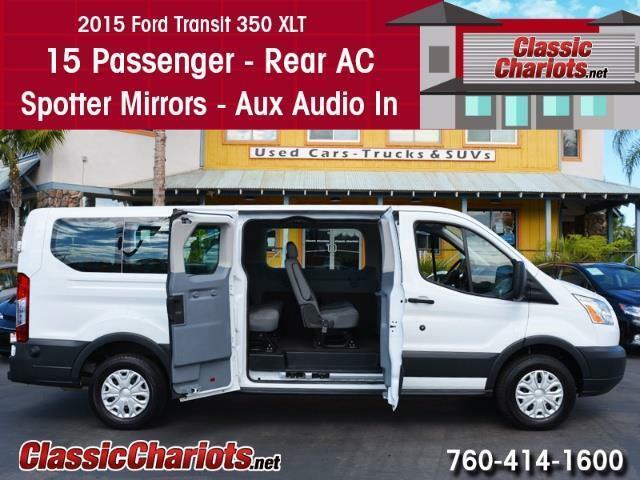 15 PASSENGER – Front and Rear AC – Aux Audio Input – Spotter Mirrors – Cruise Control – Power Locks, Windows and Mirrors. Serviced and ready to use and enjoy!